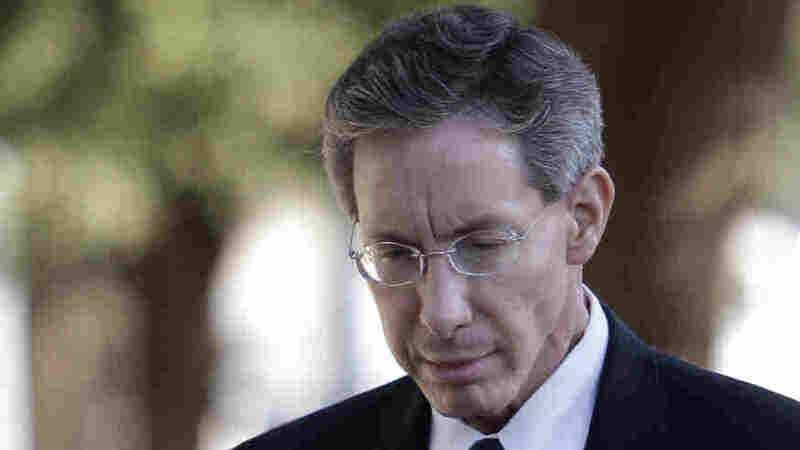 Polygamist Warren Jeffs In Critical Condition : The Two-Way Jeffs, who was convicted of sexual abuse three weeks ago, was hospitalized after a three-day fast. Texas prison authorities said he was in critical but stable condition. Three weeks after a conviction for child sexual abuse, polygamist leader Warren Jeffs remains in critical but stable condition in a Texas hospital. Jeffs, 55, was rushed from prison Sunday night to a hospital in Tyler, Tx. Officials there refuse to discuss Jeffs' condition but a spokeswoman for the Texas Department of Criminal Justice (TDCJ) says Jeffs was hospitalized after a three-day fast. "He is being treated for a number of medical conditions," says Michelle Lyons, the TDCJ director of public information. Lyons declined to provide more details citing federal medical privacy laws. Jeffs has a history of fasts, a suicide attempt and hospitalizations, while jailed in Utah and Arizona. "When he fasts, he suffers dehydration and malnutrition," says Walter Bugden, a criminal defense attorney who represented Jeffs during a prosecution in Utah. That record has another Jeffs defense attorney concerned about his client's care and supervision while serving a life sentence in Texas. Arizona attorney Michael Piccarreta says this sudden hospitalization following a fast suggests Texas corrections officials are not closely monitoring Jeffs. "The state of Texas has a responsibility to maintain his health," Piccarreta says. "And if the state of Texas is unwilling or unable to provide proper medical care for Mr. Jeffs then they are going to be legally responsible for any adverse outcome." Corrections spokeswoman Lyons says, "We take that responsibility seriously," while also noting that "fasting is one small component. He has other medical issues that are more serious." Lyons would not describe the other serious medical problems but did say Jeffs did not try to take his own life.